As a technologist I am full of admiration for the work that Mike Bracken oversaw during his time in charge of the Government Digital Service (GDS). It is impossible to argue with their design principles that focus on user need, agile development and open standards. However, having now been a part of the TechUK Public Services Board for around 15 months and latterly in my role as Vice-Chair, it is fair to say that GDS has had an uneasy relationshipwith some of the largest suppliers of technology to Government. So, if GaaP is here to stay what does this mean for the technology industry and what role will GDS play in delivering it? The most recent GDS blog on Government as a Platform by Felicity Singleton was extremely encouraging as it is the first time I have seen GDS recognise the role that the technology industry at large will have to play in making this initiative a long-term success. Decrease the time-to-market for the platforms by potentially leveraging what already exists in the market. Help new and existing suppliers understand the rules of engagement for their digital services so that they are clear that when building a new solution, it is integrated into GaaP from the outset. Maximising the investments already made in Government IT by enabling incumbent suppliers the opportunity to rework their products in-line with the new platform definitions. I fully appreciate that there will be some platforms where GDS is the only organisation able to effectively lead the design and build due to its cross-departmental reach. However, I sincerely hope that it is not GDS’s intention to build each and every one of them and that is where industry must be included. The role of GDS with regards to GaaP should be that of a Product Owner in an Agile development project. Working with users (departments, civil servants etc.) defining their needs and translating those into stories and deliverables that the technology industry can deliver against. This is a complex, long-term project and it needs the centralised skills and talents at GDS to pull it all together. Equally it needs the scale and reach of some of the worlds largest technology providers and the innovation and agility of smaller SME’s like ourselves to ensure that it can be built and delivered in the most economical way possible for the taxpayer. By allowing existing service providers to update their interfaces to comply with the standards of GaaP, Government has an opportunity to asses a variety of options for each discreet platform and to decide on the most appropriate solution. The equation is still a classic Build vs Buy but in either scenario the key factor, interoperability and integration is front and centre, there is no compromise on that. This shift truly begins to level the playing field, allowing more disrupters to emerge for the greater good of citizens and public sector employees who are looking for enablers to improve the interaction within government. 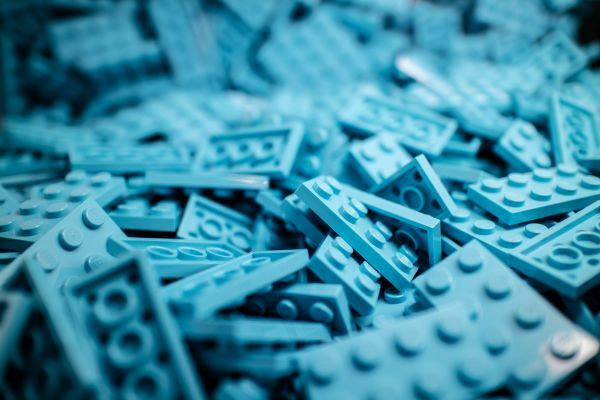 Ultimately the successful delivery of GaaP requires all of the stakeholders, GDS, the departments, existing suppliers, new entrants and start-ups to work together towards the GaaP common goal. Each one has a role to play and something unique to bring to the equation and it is this eco-system that must underpin the entire project delivery. Founder of SPINR, Carlos has been advocating how the use of a SOA approach based around API's can provide the platform for true transformation in the Public Sector. Aside from SPINR he is also the Chair of the techUK Local Public Services Committe that aims to improve the engagment between the public sector and the IT industry. 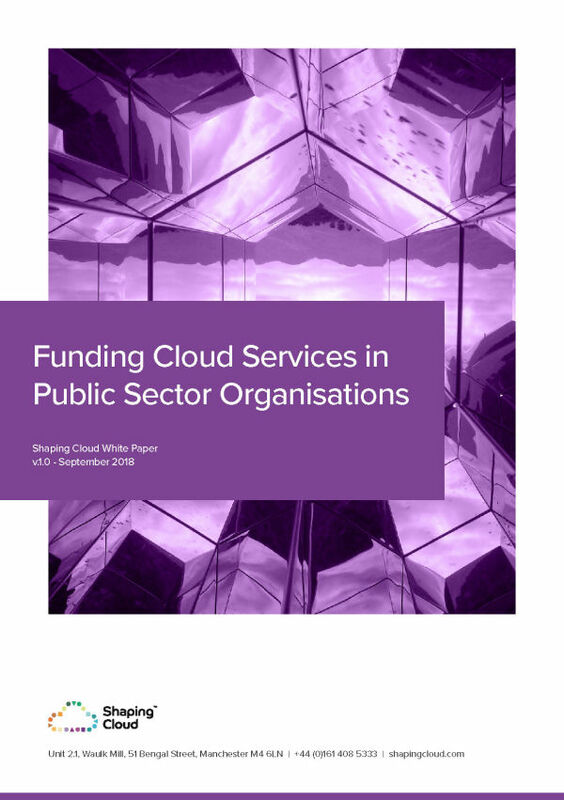 Shaping Cloud are a company dedicated to helping the public sector embrace the opportunities provided by public and hybrid cloud. Our products and services have been designed to inform, advise and guide partner organisations as they transform their IT delivery and continue on the path to digital transformation.